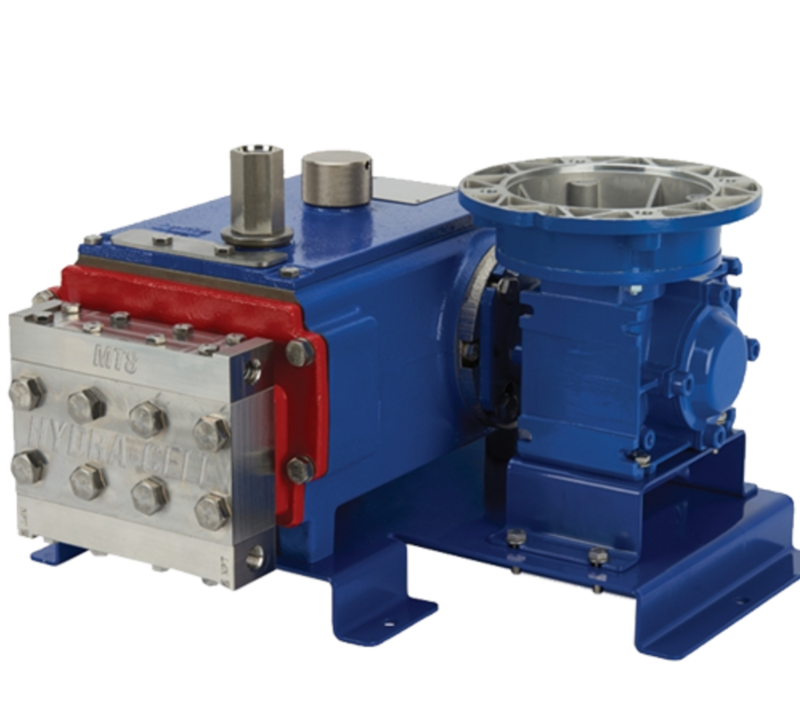 The new triplex metering pump Hydra-Cell MT8 has been designed to dispense very low flow rates at high pressure. The robust and compact pump can be controlled down to 0.227 l / h and at the same time reaches a maximum pressure of 241 bar! With the small footprint of approx. 36 x 30 cm, a lot of space can be saved and an efficient dosing system can be set up.